What time does the art-a-thon start at in my time zone? Do I have to participate for the whole art-a-thon? Is there a hashtag to use on social media sites (e.g., Twitter, Facebook, Instagram, etc)? Do the prompts need to be done in a specific way? Are there buttons I can place on my website and social media sites? 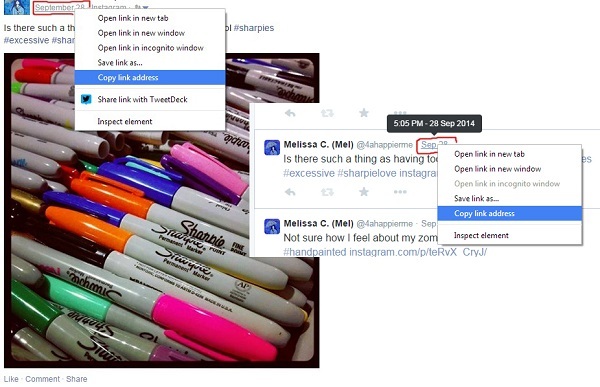 How do I get the link address of a specific post from social media sites? Will there be more Art-a-thons? The art-a-thon is an art challenge where the goal is to create as many art pieces as you can and have fun. There will be prompts provided every 2 hours during the art-a-thon. However if you are having a really hard time with the prompts just create something based on the theme or whatever you want. The whole point of the art-a-thon is to create and have fun. Participants will also share their art so that everyone can enjoy it. There may also be prizes throughout the day. At the end of some art-a-thons a winner will be picked for a grand prize. In the past we had a signup page but we no longer ask participants to signup for any upcoming art-a-thon. 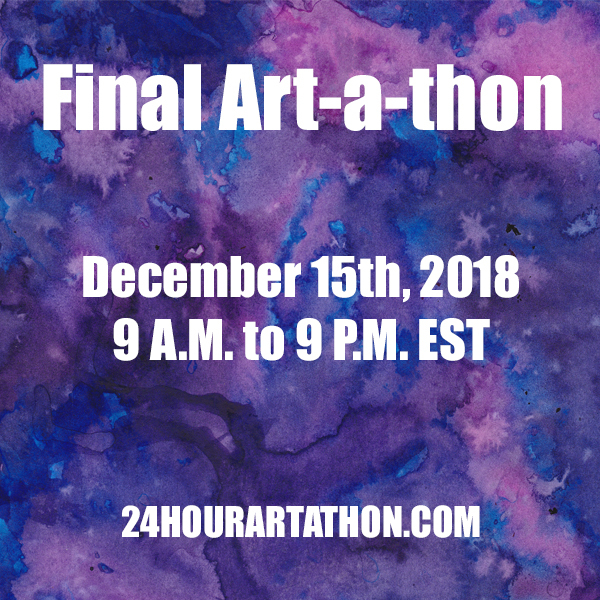 The art-a-thon will start at 8AM Eastern (EST). If you are not in the eastern time zone you can visit our start time page to determine what time the art-a-thon begins for you. There will be a link on there to our event time announcer page on timeanddate.com for the current art-a-thon. If you can’t start at 8am EST you can start when its more convenient for you. The only thing you may miss out on would be the random prize giveaways which require participation during certain times. However if you at least participate for a few hours during the art-a-thon you will still qualify for the grand prize. You don’t have to participate for the entire art-a-thon. However in order to win certain prizes you need to be an active participant during those specific times or for a certain amount of time. No they don’t. The only requirement is that you be as creative as you want to be. Every couple of hours there will be a new prompt for the participants to work on. There will also be an overall theme for the Art-a-thon. However the theme does not need to be incorporated into the prompts unless the participants want to. The art created can be anything as long as its creative. This means you can art journal, create atcs (Artist Trading Cards), paint a canvas, create something out of clay, jewelry, etc. If those types of things aren’t something you are into you could also create poetry, a short story or a zine. Yes there is. You can use #24hrartathon on all social media sites. There will be a few prizes given out during the 24 hours as well as a grand prize given at the end of the art-a-thon. In order to be eligible for any prizes participants must have signed up for the art-a-thon and participated in some or all of the art-a-thon. During special art-a-thons which are shorter, there will be a few prizes but there might not be a grand prize or vice versa. Prizes will vary. They may be original works of art or art supplies. When the prizes have been selected they will be listed on the prize page. If you are interested in donating a prize please send us a message. Yes there are. They can be found here. 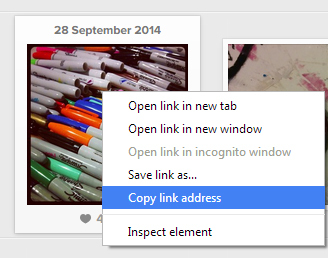 For Facebook and Twitter find the post you want to share then right click on the date or date and time and click “Copy Link Address”. For the Instagram website find the image you wish to share and right click on the image and click “Copy Link Address”. We hope to at least host one art-a-thon a year; as long as the schedule of the hosts permits.